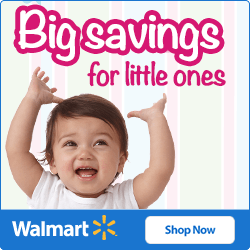 So, you’re interested in improving your baby’s sleep habits, and teaching him or her to sleep through the night? This page is a great starting point. 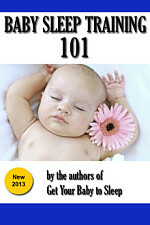 On it, I’ve collected 21 of my best “baby sleep” tips, with links to more detailed articles. Read and enjoy! 1. Put in the hard work. Some babies are great sleepers. Many are not, but have the potential. Of course they’ll learn to sleep through the night eventually, but if you want that to happen sooner rather than later, it’s going to take some work. That’s what baby sleep training is all about. 2. Try the early bedtime. It’s a surprising but widely accepted fact that putting a baby to bed earlier often helps him sleep later. For our boys, bedtime is around 7:30 p.m., perhaps half an hour after dinner. That’s what setting an early bedtime means. Not 9:00, but closer to 7:00. 3. Find a routine and stick to it. This is easier than it sounds: figure out the steps you need to get your baby to bed, and make a habit of them. Same order, same time, every night. This consistency is a critical part of baby sleep training. 4. Babies need exercise. Just like an adult, a baby who gets no exercise or stimulation during the day may not be tired come bedtime. Daytime is playtime. That’s what jumpers and activity gyms are for, right? When your baby starts learning to crawl or walk, they’ll usually get enough exercise on their own. 5. Offer a good dinner. If your baby is taking single-grain cereal and/or solid food, make sure he or she eats a good, filling dinner. If you find your baby waking up hungry in the night (and needing a bottle), try offering a little bowl of cereal 20 minutes before bedtime. 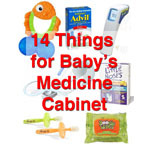 This often provides the slow burn to help your baby go for longer. And nursing or a warm bottle of milk is the perfect way to top it off. 6. Give your baby a bath. A quick, warm bath is a natural soothing experience for your baby, especially drying off with a fluffy towel and then being dressed in some warm pajamas. 7. Darkness is key. Make sure that the nursery or bedroom where your baby sleeps is totally dark — with the possible exception of a night light — and pay special attention to blocking out the early morning sun. Sunlight is a natural wake-up signal; using room-darkening shades and curtains to block it out will help your baby sleep past, you know, dawn. 8. Provide some white noise. A sound machine or small fan in your baby’s room will provide a soothing hum of background noise. This has the added benefit of drowning out other noises — siblings crying, inconsiderate neighbors mowing the lawn, and the like — that might otherwise wake your baby up early. 9. Break out the pacifiers. We stock up on the best pacifiers whenever we can, hoping that there’s always one to be had come bedtime. I don’t bother trying to put a baby to bed without it. 10. Put baby to sleep in the crib. There is no safer and better place for your baby to fall asleep than his or her own crib. It’s so tempting to snuggle them in your own bed or let them konk out on the couch. 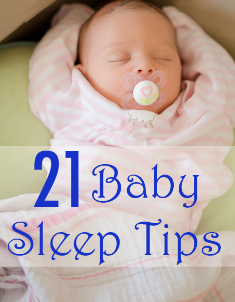 But making the crib part of the nightly routine will help your baby sleep more consistently. 11. Think crib safety. While we’re on the topic, ensure that your crib is a safe place by making sure it’s not on recall, that it’s assembled correctly (with all bolts tightened), and does NOT have crib bumpers. Keep it at least 2 feet away from electrical outlets, cords, curtains, or other shock/strangulation hazards. And never put the crib near, or in the direct line of, a heater or air conditioning vent. 12. Make the crib fun. Safety concerns aside, your crib doesn’t have to be a stark and cold place. Make it warm and inviting. Get the cute bed set (but toss or repurpose the bumpers). 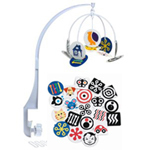 Pick out your favorite baby crib mobile. Make it so your baby likes the crib. 13. Use nighttime diapers. Getting your baby dressed for bed starts with a fresh clean diaper. Ideally, one of the thicker overnight diapers, such as Huggies Overnites, that are designed to last 8-10 hours or more. These things can absorb A LOT. They cost more, but they’re worth it. 14. Put on soft, comfy pajamas. Don’t let your baby go to sleep in daytime clothes. They make cute pajamas and sleeper sets for babies. These soft little outfits aren’t just for keeping your baby warm – they’re a comforting, tactile signal that it’s time to go to sleep for the night. 15. 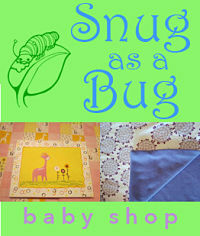 Use a swaddle or sleep sack. Swaddling your newborn provides a snug comfort not unlike being in the womb. There’s a reason they use swaddling in the NICU – it makes babies go right to sleep. Once they’re too old for swaddling, a sleep sack or sleeping bag will serve the same purpose while providing the legs a bit of room to move. 16. Read books at bedtime. Reading a book or telling a story to your baby at bedtime is a great way to relax, spend some quality time, and mentally prepare your baby for bed. 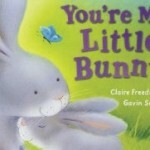 Ever notice how most of your favorite baby books end with the characters going for bed? 17. Monitor your baby’s sleep. Use a good baby monitor to listen for fussing or wake-ups. I really like the video baby monitors because they let you watch your baby (with night vision cameras), check the nursery temperature, and even have 2-way communication so you can talk to your baby. 18. Practice soothing techniques. On a related note, learn and practice the soothing techniques that work for your baby. Rocking, singing, speaking softly, and reinserting the pacifier are classics. Try everything, and remember what works. 19. Help your baby with gas. Babies, especially newborns, have digestive systems that aren’t well prepared to handle digestive gas. It’s why you have to burp them, and possibly why they suddenly have bouts of fussiness with no apparent reason. There are at least 5 things you can do if your baby has gas, and you should really make an effort on this front before bedtime. 20. Watch out for and address teething. Sometime between the ages of three and eight months, your baby will start having teeth come in. This can be a painful, almost torturous process for some babies. 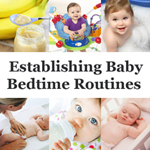 Still, there are ways to help a teething baby so that they can still get a good night’s sleep. 21. Break bad habits. I’m saving my hardest bit of advice for last. You know what your “bad” baby sleep habits are – the shortcuts, the things you know you shouldn’t do (or should do, but don’t). Letting your baby sleep in the swing because it’s easier. Leaving him or her in the outfit they fell asleep in. Keeping your baby up late so you can enjoy all the cuteness. 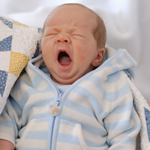 It’s not an easy thing, but you’ll have to break or avoid bad baby sleep habits if you want the ultimate outcome: a baby that consistently sleeps through the night.